It’s easier for the singer to read any music or lyrics since it’s out of the way. 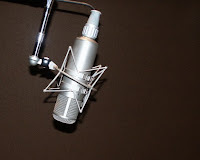 Now you can see that hanging the microphone was more than a random design, it was indeed well thought out placement by our engineering forefathers. Having trouble with click bleed? Most drummers need the click at earsplitting levels, so bleed from the click track can become a problem, especially on quiet passages. The same goes for anyone playing an acoustic instrument like a guitar, dobro or violin (fiddle to you Nashvillians). The instruments are naturally quiet and the sound of the click can get easily out of hand. If you can't afford a set of Vic Firth isolation phones (preferred by drummers these days) or just need to bang something together quickly, this video will show you how to do it on the cheap. Playing and singing is something that most rock and pop musicians deal with at some time. Discovering the independence to do two things well at the same time can take a lifetime to perfect. 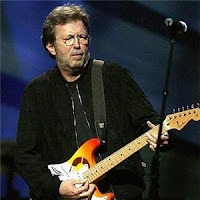 In Rolling Stone’s new issue, David Fricke has a conversation with Eric Clapton where he weighs in about singing and how it affects your playing. How do you account for the fact that Jeff Beck isn’t as big a rock star as you are? He deliberately carved that image. I don’t think he would deny that. He likes to be left alone. He wants to be underneath the car, working on the engines. He made that one record where he sang [the 1967 British hit "Hi Ho Silver Lining"], and rarely did it again. That’s always a bone of contention. I had a chat with his manager Harvey [Goldsmith] after he signed Jeff. I said, “Are you going to get him to sing?” He said, “I’ll try.” Good luck! But if he isn’t motivated [to do it], I think he’s missing something. It’s an enjoyable thing to do. Most of the guitarists in that elite group that you mention [in the story] — Robert Cray, Buddy Guy, B.B. King — are singers. Jeff is not. He sings when he plays. He has that melodic inventiveness that we were talking about yesterday [at Beck's house], that he puts into everything he plays. Derek [Trucks] is another one. I think Derek should sing. Because he has the same thing. He has a Voice. Exactly. But I would worry about the amount of sacrifice they would have to make in terms of their technique, in order to start focusing on being a vocalist. Did you feel when you started singing regularly in the late Sixties that you had to dial back as a player? Yeah. I don’t think I did it consciously. But automatically, once you start applying your discipline to one part of your vocabulary, another part has to suffer to a certain extent. Why does it have to suffer? Some kind of prioritizing has to go on. The thing with Derek and Jeff and guys like that is they have spent their entire lives, so far, focused on that one element that they created. They probably know, subconsciously, that they will lose a little bit of ground. Did you like your voice when you started singing? No. I do now. It’s taken me to be an older guy, an old man, to have an old man’s voice. Because I only liked old men’s voices. As a kid, I didn’t like pip-squeaked singers. It was always someone with authority. And for a singer to have authority, they have to have some kind of social standing. Otherwise, it’s fake. So when you sang “After Midnight” and “Let It Rain” on your first solo album, you didn’t feel you were convincing in those roles. No. I also suffered from a delusion that a lot of people share, from what I can see. Which is, if you sing at the top of your range, it’s more expressive. So I figured out how high I could sing. Then I sang in that key. It’s a cop-out, because it’s easier to pitch — you just stretch. To sing in a lower key is harder work. You have to use your diaphragm more. All of these things come into play. And it’s like, “God, I don’t want to be bothered.” But that’s when it becomes authority. I didn’t learn all of that — it’s just maturity. As predicted, all the controversy around Abbey Road Studios has led to it being declared a Grade II listed historical building by the British government today. Grade II means that the interior can be altered by not the outside. This ruling is actually backwards for Abbey Road, since the interior is what really needs to be preserved, but it's a step in the right direction. We can all breathe a collective sigh of relief now. Dave Jackson of Musician's Cooler was kind enough to interview me for his podcast regarding my How To Make Your Band Sound Great book. If you want to know a little bit about my background and a pretty good road story involving pyro gone wrong, check out the podcast. According to a BBC report, EMI Records emphatically stated that the famed Abbey Road Studios are not for sale after all, although EMI is looking for investors in the property. It's easy to believe that the major uproar over the studio's potential sale had something to do with taking the property off the market, since the last thing EMI needs right now is any negative publicity or further confirmation of their weak financial status. Even if a sale would've occurred, there appeared to be some buyers in the form of uber-composer Andrew Lloyd Webber and former Beatle Paul McCartney, as well as interest from the National Trust (the UK agency tasked with preserving historical sites). In fact, there seems to be ongoing plans to list the Abbey Road as a historical site, which will no doubt be accelerated due to the recent publicity. According to the story, EMI had an offer for the property last year for approximately $46 million, which the company turned down. If it wouldn't take that offer, which sounds generous, it's hard to believe that it would find a better one now. While it's true that studios like Abbey Road are dinosaurs in these days of extremely powerful and inexpensive personal recording setups, there will always be a place for a large studio capable of recording an orchestra since not many are left anywhere in the world. In fact, any kind of commercial studio with proper acoustics and a high quality signal path is getting harder and harder to find, which means that the ones left are still pretty busy since there are enough budgets to afford them (but barely so, it's still a struggle). 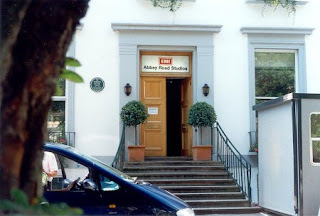 There will always be high-end projects and clients and they'll demand a studio like Abbey Road. It's unknown whether they'll be enough of them to keep the doors open, but at least it's good to know that the studio will probably have alternatives to stay alive if ever EMI should choose to liquidate it (which is still likely at some point).